On April 20th, 1999, Eric Harris and Dylan Klebold entered Columbine High School and, in just under an hour, killed 13, injured 21, and kick-started several controversies that are still going strong to this day. The Columbine High School Massacre occurred in the midst of the rebirth of modern media, particularly in how we understand reporting today, with near-constant updates and on-site investigations. So, within hours, the nation (and the world) was made aware of the tragedy that befell the community of Columbine. However, instead of taking the time to process the tragic events or even ponder what could have made these young men commit such a heinous act, fingers immediately pointed to Harris and Klebold’s music choices, and video game preferences. Marilyn Manson’s music, in particular, was blamed for having an undue influence on the boys (see: his now-infamous interview in Michael Moore’s documentary, Bowling For Columbine). However, the ultimate villain of this situation was seen to be the video game Doom. The game had a controversial history of its own prior to the Columbine shootings. Centering on a space marine dealing with an alien invasion, Doom was the pioneer of first person shooters, popularizing the style and paving the way for games like Call of Duty. Doom, although seen as somewhat cheesy now, was extremely graphic for its time, portraying alien death via all manner of weapons including shotguns, chainsaws etc. Additionally, The ESRB didn’t exist in 1993 when Doom was released, so the rating system of today did not apply. Likewise, there was no age warning for parents or players to know how graphic the video game was. However, with the rise of games like Doom, Mortal Kombat, and Wolfenstein, concerned parents and family groups began to advocate for a rating system similar to movies. 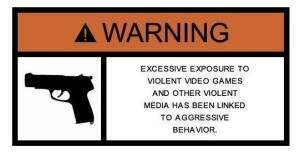 The ESRB was officially announced, in Congress, in July of 1994 with its launch coming just two months later. Five years after the establishment of The ESRB, in 1999, Doom became the center of debate once again when it was discovered that Klebold and Harris has been avid players and even compared the school shooting to Doom, saying murder would just be as easy as playing the game. Further to this, by the time Klebold and Harris were playing Doom there was an added modification that allowed PC versions to be modified into personalized levels created by the user. Both of the boys used this modification, citing one of their larger mods was Harris’s life work, Tier. Tier was uploaded to the school’s computer system, and to AOL, and immediately drew comparisons to the Columbine shootings, but this mod has since been lost. Additionally, it was suggested that one of the killers had a sawed-off shotgun he called Arlene, which is a character in the Doom game. 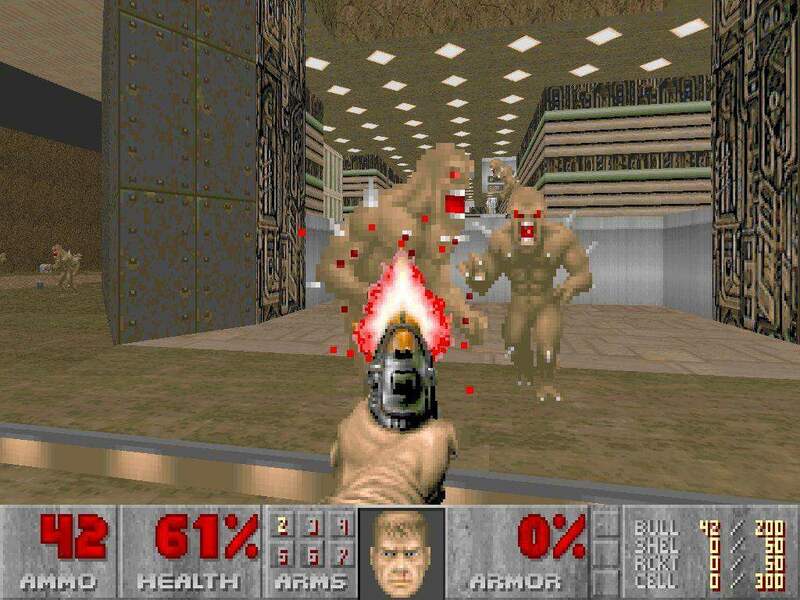 Two years later, the families of those killed at Columbine sued 11 video game companies including ID Software, the creator of Doom. They alleged that a mixture of the addiction to such violent video games and the boys’ personalities made a deadly cocktail that ultimately caused the Columbine shootings. John Decamp, the lawyer representing these families, claimed they were trying to change the distortion of such violent material because these games make children into monster killers. But, a federal judge dismissed the case on the grounds that video games are not subject to product liability laws, like CEOs or business owners are. Meanwhile, in the academic world, scholars then began seeking answers to the Doom-Columbine correlation. A flood of studies emerged in the early 2000s claiming to have found a connection between violent video games and aggressive behavior. These studies named Doom, Mortal Kombat, and Wolfenstien specifically as games that, allegedly, increase a person’s propensity for aggressive behavior, feelings, and thoughts. Senator Brownback of Kansas and Professor Anderson of Iowa State University also testified before Congress, in the year 2000, in an effort to prove that violent video games have a greater effect on behavior than gory television programs or movies. Not even a year had passed from the Columbine tragedy and already a moral panic was in full swing, with fear created around violent games and their supposed link to aggressive behavior. These studies have been recently disproved because factors such as the competitiveness of such games were not considered, as well as the fact that scientists neglected to study long term effects, or even make a concise definition of aggression. Additionally, these studies were completed directly after the subjects involved played the video games, instead of using before and after scenarios to compare their behavior and create a control. Columbine was a tragedy that will forever be remembered as one of the most tragic mass shootings in United States history. It shocked the world and remains hugely relevant to this day. But what needs to be remembered is that the music preferences and favorite video games of the shooters were not to blame. Millions of people play, and have played, Doom; killing their friends or terrorizing their neighborhood. So, while Doom is an intensely violent game (with a new chapter of the franchise set to be released shortly), video games, music, TV Shows and movies should not be blamed for senseless violence. Instead of crying out for the ban of Doom and Mortal Kombat, what should have been demanded was a serious look at the real issues that plagued Klebold and Harris; that is the real tragedy here. Successor Of Silent Hill, Allison Road Back In Development!